Brief and to the Point: Ferrari F1 Barcode - A "Smokescreen For Cigarette Adverts"
Ferrari F1 Barcode - A "Smokescreen For Cigarette Adverts"
Leading doctors are demanding an immediate government inquiry into “subliminal” tobacco advertising on Ferrari’s Formula One cars, and the company’s $1 billion relationship with the maker of Marlboro cigarettes, The Times has learnt. The red, white and black bar code emblazoned on Ferrari’s racing cars and its drivers’ overalls is designed to remind viewers of a packet of Marlboro cigarettes, it is claimed. Under EU legislation it is an offence for a tobacco company to sponsor sporting events. Yesterday a spokesman for the European Public Health Commissioner said he thought that Marlboro’s approach constituted potential subliminal marketing. He urged the Spanish and British governments to ascertain whether the world’s second-biggest tobacco company might be in breach of the law. Formula One teams are due to fly into Spain for the European leg of the season which begins in ten days’ time. The British Grand Prix is on July 11. Don Elgie, chief executive of Creston, which owns the advertising agency DLKW, said he thought that the bar code was subliminal advertising — where a brand is so recognisable that consumers can be reminded of a product without actually seeing it. In September 2005 Philip Morris, the maker of Marlboro, extended its financial backing for the Ferrari team until 2011, despite the ban on cigarette branding on cars racing in the European Union. The contract is understood to be worth $1 billion over ten years and Philip Morris said Ferraris would not carry Marlboro branding where there was a ban. 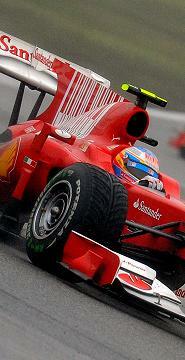 Ferrari is the only Formula One team with a tobacco brand in its formal title, Scuderia Ferrari Marlboro. 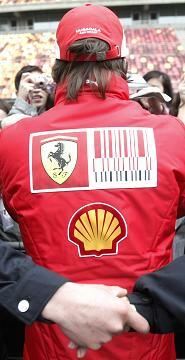 Its logo also has the bar code and its drivers, Fernando Alonso and Felipe Massa, wear overalls bearing the bar code next to the Ferrari logo on each arm. Are you paying more than $5 per pack of cigarettes? I buy my cigarettes at Duty Free Depot and I save over 60%.